The event is held every year on the Friday and Saturday before Martin Luther King, Jr. Day in downtown Historic Apalachicola at Riverfront Park. All proceeds goes directly towards paying for the brand new fire truck they were able to purchase a few years ago, due to this sole fundraising event! 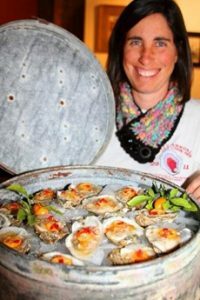 This year’s 9th Annual Oyster Cook-Off will be held January 18th and 19th , 2019 The event features a silent auction, oysters galore, shrimp, smoked mullet, hot dogs, hamburgers, local beer, live music, kids’ activities, dancing performances and a 5K run! Enter your best recipe and be a contestant in the oyster cook-off or just come out and enjoy a day of wonderful food, refreshments and music.